to production and from packaging to delivery. Raw and auxiliary materials are accepted by hand terminal when entering to the factory. The quality control of the accepted materials is again carried out by the hand terminals at this stage. 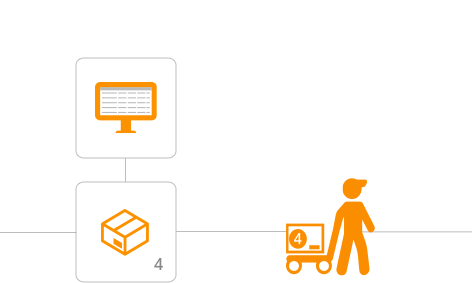 Upon the automatic storage place assignment according to FIFO (First In, First Out) system, the qualified products are placed in the relevant cell by our warehouse responsible. The 'job order form' of the product (the job order code is bar coded) is created by the system. 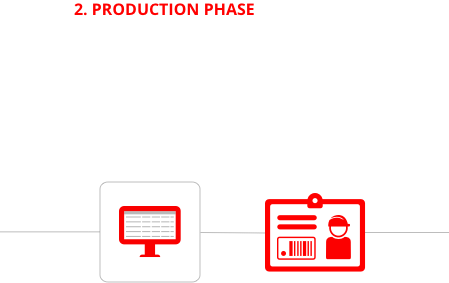 The production machine and the name of production staff are also mentioned on the 'job order form'. Our production staff applies to warehouse responsible together with the job order form. The warehouse responsible reads the bar code on the job order form with hand terminal. The supply of the relevant raw and auxiliary materials needed to produce the product in the respective job order is determined in line with the FIFO system with hand terminal. The warehouse responsible delivers the relevant materials to the production staff and the production begins. The relevant job order code is located on both the product packaging and on product coli where they are located. At the time of production, quality control is carried out by reading the form on the job order with hand terminal again. It is not possible to dispatch an unqualified product out of production area. Our quality control system does not allow this. The product in which quality has been checked and the production is completed is delivered to the warehouse responsible. The storage area of the product is automatically determined in the warehouse according to FIFO system with hand terminals. 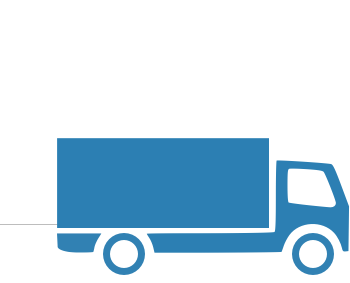 The dispatch staff will carry the product to the cell in which it will wait until the dispatch time. 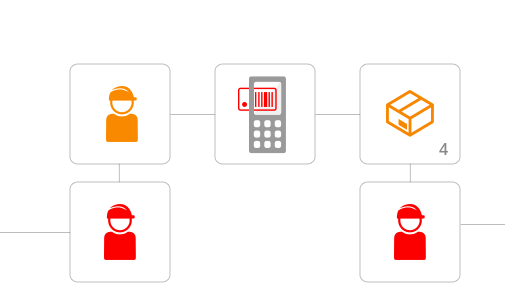 The 'dispatch order' is transmitted to the relevant dispatch staff via hand terminal. 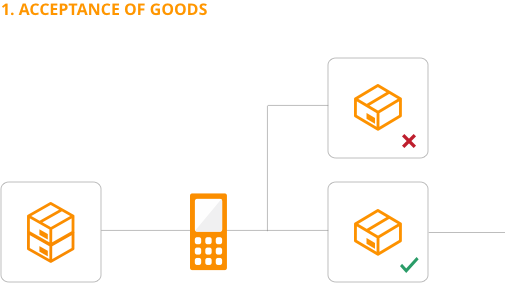 The collection of the ordered product from the relevant cell is assigned by the system in line with the FIFO. 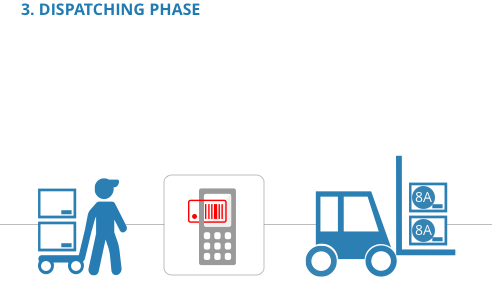 The dispatch staff picks up the product from the relevant cell, loads it on the shipping cart and reads the barcode of the product with the hand terminal. 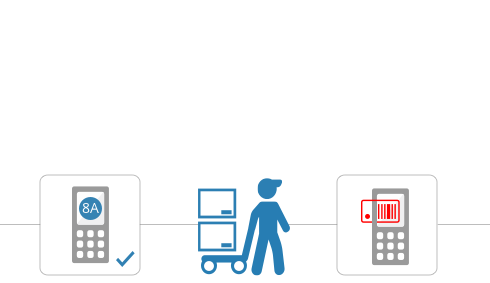 In this way, the products sent to the customer is recorded in the system. Traceability is completed at this stage. You can share your complaints or suggestions with us for all the products you use and the ones that you are not satisfied with. 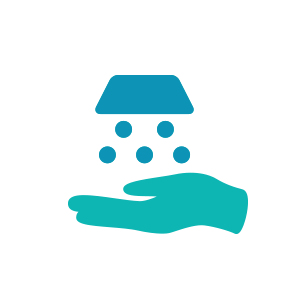 Requests will be assessed sensitively and the products will be replaced with new ones free of charge if necessary. As a result of your suggestions and complaints, the source of the problem related to the product will be identified and necessary precautions will be taken to prevent the problem from recurring. 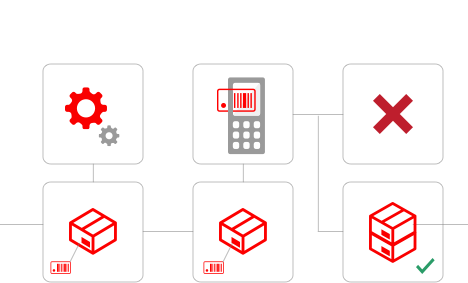 Although we did not need it until today; our ‘traceability’ system allows us to quickly and easily recall the product if any errors are detected in the controlled products (e.g. a health hazard or a serious problem) using replicate samples; it helps to withdraw an entire party from the market, if necessary. You can easily inform your suggestions, requests and complaints via the Contact Form on our website. Hygiene areas are used in the production and in the storage areas. 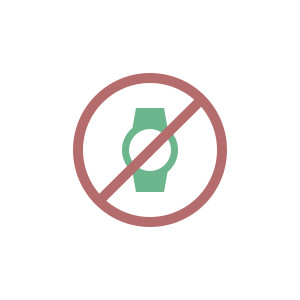 Before entering the facility’s premises, our employees and our visitors should take out their jewelry such as watches, necklaces, earrings and brooches. 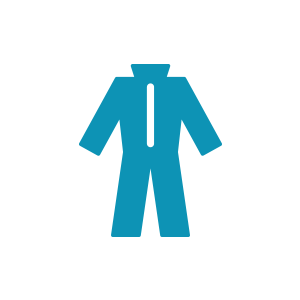 Before entering the production area, visitors need to wear apron dress and the employees wear work clothes. First, they wear a bone, then an apron, and finally a shoe. The hands are disinfected after they are being washed and dried. We regularly carry out necessary analysis, examination and implementation in accordance with relevant Occupational Health and Safety (OSH) laws, regulations and communiqués in order to minimize and eliminate the health problems and professional risks that our team members may encounter due to reasons such as physical environment conditions and working environment. We conduct our work in accordance with all rules and laws in order to ensure that the working conditions and means of production are sanitary and that our team members are protected from all the harmful effects of the working environment and to keep the social, psychological and physical health of our team members at the highest level. Risk assessments are regularly monitored throughout our workplace. Measures are taken to prevent any job accidents, occupational diseases and possible risks. We work in cooperation with Occupational Health and Safety Company and OHS professionals. Risk assessment is regularly carried out and necessary measures are taken in order to determine the hazards that may exist in the workplace and may come from outside. At the beginning of the work and during the working hours, health checks are carried out at regular intervals to determine the sensitiveness of our teammates and to identify risky situations. There is an emergency plan against first aid, fire fighting, serious and close threats. Trainings are held regularly and practices are conducted. The vocational training of our team members is repeated and documented at regular intervals. The duration of the training is counted as the working hours. 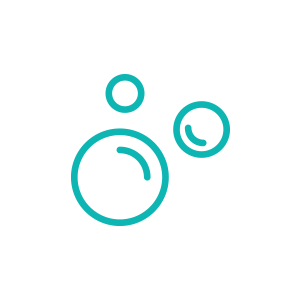 There is an occupational health and safety board that carries out OHS related activities. 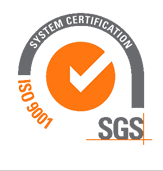 We meet the standards and durability of our products in accordance with international standards, including ASTM and TSE test methods, with state-of-the-art laboratory equipment and machinery in our facility. Physical Tests: These include physical tests performed at each stage of the production process, such as visual control tests, physical measurement tests and the control of producer’s declarations. Seal Thickness Test: Testing and verifying the thickness of each bag. Bursting Test: This test is made by a burst machine, which checks the maximum pressure that the bags can withstand. Seal Resistance Test: This test is used a tension test machine to measure the durability of the seals. Leak (Blow) Test: This test is done by blowing air in the bags to understand the tears, cracks, wrinkles, etc. Water Test: This test checks the water leakage of the bags. 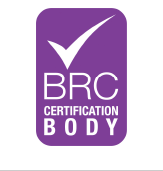 We have a Business Registration Certificate approved by the Ministry of Food, Agriculture and Livestock as a company operating in the production and processing stages of substances and materials that contact with food. 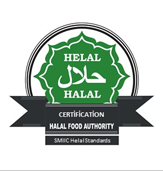 We have following certifications; ISO 9001: 2008, which guarantees that our products and services are manufactured in accordance with internationally accepted standards and guarantees the continuity of our product and service quality, ISO 22000, which demonstrates that we ensure the safety of the food chain, BRC IoP which ensures that our compliance with safety and business standards, TSE EN 13592 certificate which determines the Plastic Bagging Standards for Collection of Household Wastes and in addition we are among the licensed companies working in cooperation with the ÇEVKO Foundation. 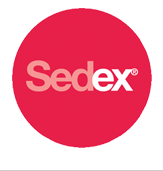 We are one of the organizations subject to the SEDEX audit, which states that all of our documents and certifications, as well as the owners, partners or managers of the organizations, act in accordance with the values of the community and act in accordance with the business ethics and law.